Earnings Call Claims New Battlefield 4 Info in "About 90 Days"
A new Battlefield title will be released by the end of this year. In response to criticism surrounding the disappointing performance of Medal Of Honor: Warfighter, EA game label president Frank Gibeau announced at EA's 2012 earnings call that a new Battlefield title is coming this year. He said that they should have something ready to show off in "about 90 days". 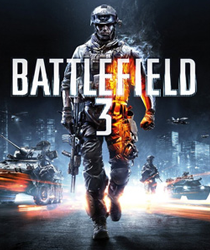 Battlefield 3 and Warfighter were released in October of 2011 and 2012 respectively, so it's a safe bet to assume we will see Battlefield 4 around the same time this year. Warfighter's poor sales and critical panning led to the announcement that the Medal of Honor franchise will be put on hold indefinitely. EA announced previously that pre-orders of Warfighter would receive early access to the Battlefield 4 beta, which is scheduled to be underway by fall of this year. During the call, EA CEO John Riccitiello also suggested that work on next-gen installments for the Battlefield and FIFA franchises was already underway. "We're also investing Gen4 console technologies and content. We've signaled that we're working on the next editions of our two biggest franchises." End Game, the fifth and final piece of DLC for Battlefield 3 is scheduled for release in March. A trailer showcasing the DLC's capture the flag mode was recently released.